The house on Suncrest drive is located off exit 7. It is minutes from the shopping areas and restaurants at this central exit between Abingdon and Bristol. It is also located across the road from Van Pelt Elementary school and Suncrest park. It has 3 bedrooms, 2 full baths, a large den, seperate kitchen and dining room and a large living room. Suncrest drive has been renovated as of June 2008 and has all new fixtures, carpet, paint, wood stained decks, linoleum and appliances. It has a seperate laundry room and pantry. 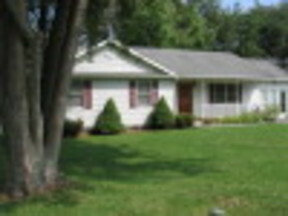 It also boasts of a large fenced in back yard with mature trees. Pets considered.